Highly detailed sculpt includes two different arm pieces, allowing for display with either his cold gun or ice-covered arms. Leonard Snart wears his cool updated costume with a blue and white bodysuit, white boots, matching vest, and of course his distinctive cold weather goggles. Sculpted by Ikkei Jitsukata, Captain Cold stands just over 19cm tall (1/10 scale) and like all ARTFX+ statues he has magnets in his feet for extra stability on his included display base. 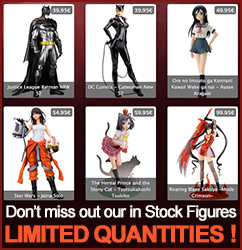 Display alone or alongside other Kotobukiya ARTFX+ statues like The Flash! © & ™ DC Comics.